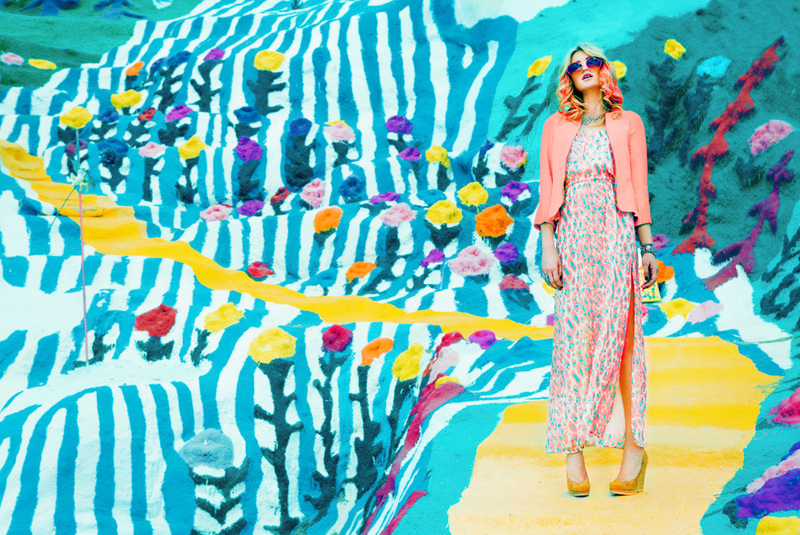 These are my favorite images from Nicole Hill’s photo shoot at Salvation Mountain in California. I see the images as a great source of inspiration in case you have no idea what to do with yourself this weekend in terms of style and makeup. The beauty look below is gorgeous! And the colors are so bold and vibrant. Instant mood changers. Till the next post guys!! Take care. Follow me on Twitter, Instagram, Pinterest, and Tumblr or like Pink Wedges on Facebook. Tags: Fashion, Inspiration, Make up, Nicole L. Hill, photography, style. Bookmark the permalink.